Did You Know? Tower Hill is not named for the “Witch’s Hat” tower. The park was named “Tower Hill” in 1909 four years before the water tower with the tall roof was built. After purchasing the land for the park in 1906, the park board named the park “St. Anthony Heights.” Residents of the area petitioned the board to change the name to “Tower Hill,” which it did finally in 1909. The name was based on a long-gone observation tower built on the hill by an entrepreneur: for a dime anyone could climb the tower. In the annual report for 1908 park superintendent Theodore Wirth presented his plan for improving the park, which included a suggestion to build an observation tower on what he called the “small plateau” at the center of the park. He continued: “This tower should be built of stone or steel and ought to be from 50 to 60 ft. high.” The park board never built that tower, but gave permission to the Minneapolis water department to build a water tower in the park in 1913 — the Witch’s Hat tower that still stands. The Witch’s Hat photographed beautifully from Stadium Village by April M. King, aka Marumari. Pratt School is in the foreground. 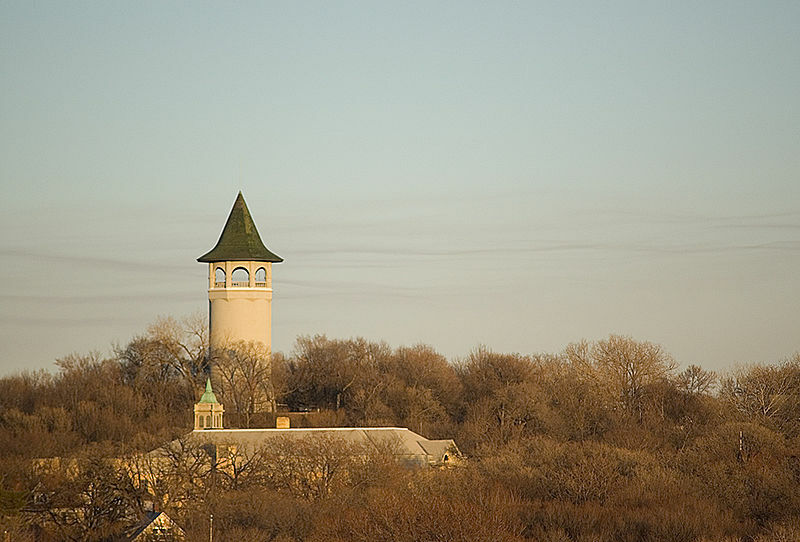 The expansive viewing area at the top of the tower certainly fulfilled Wirth’s desire for an observation tower, although park board records do not indicate that it was a condition for granting permission to build the water tower in a park. In 1914 the city council asked the park board to provide a caretaker for the park, so people could climb the tower. The park board complied, providing a caretaker who opened the tower to the public five days a week. As with so many park programs over the years it is easier to pinpoint when a service or program began than when it ended. There is no indication in park board records of when it stopped providing a caretaker to open the tower to the public. Is the tower you are referring to the same as Cheever’s Tower? My understanding is that Cheever’s Tower was located on the East Bank campus, near today’s Wulling Hall. I recently read Hess Roise and Company’s “Merrily Over the Prairie: The Grand Excursion Ventures to St. Anthony Falls” and they mention it there. Thanks for the comment, abockheim. I may have added two plus two and gotten three. Was the Tower Hill tower outside of William Cheever’s east bank commercial empire? Did Cheever have an imitator whose tower was lifted up on higher ground? If so, does anybody know who or when? Incidentally, later this week I hope to post a couple photos of the east bank river flats below the U of M, which was once officially named Cheever’s Landing by the park board. You can find the “Grand Excursion” report referred to here. Click on the link at the bottom of the page you’ll be taken to for a pdf of the report.